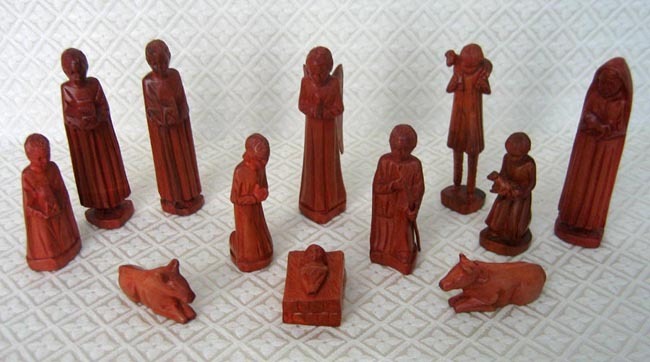 This Nativity set from the island of Madagascar contains twelve pieces: the Holy Family, three shepherds, two animals, an angel, and three wise men. All pieces are carved from palisander wood, which is from the rosewood family. Palisander is very hard and contains a natural oil as found in rosewood. The standing figures are approximately 5 inches tall.